Anaheim Hills Medical Pharmacy has a combined 20 years of pharmaceutical experience. We specialize in customized pharmaceutical compounding for humans and animals. Compounding is the creation of a particular pharmaceutical product to fit different or special needs of a health consumer. To do this, Compounding Pharmacists combine and/or process appropriate ingredients utilizing various tools. This may be done for medically necessary reasons, such as to change the form of the medication from a solid pill to a liquid, to avoid a non-essential ingredient that the health consumer is allergic to, or to obtain the exact dose needed. It may also be done for voluntary reasons, such as adding favorite flavors to a medication. We can customize compounding medications for different people with special needs. What makes us unique is that your medication is developed with your specific needs in mind. Physicians may prescribe an individually compounded medication for a health consumer with an unusual health need. This allows the physician to tailor a prescription to each individual. Clients needing limited dosage strengths, such as a very small dose for infants. Clients needing a different formulation, such as turning a pill into a liquid or transdermal gel for people who can't swallow pills due to disability. 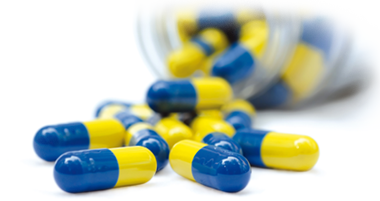 Clients needing an allergen-free medication, such as one without gluten or colored dyes. Clients who need drugs that have been discontinued by pharmaceutical manufacturers because of low profitability. Clients who are taking bio-identical hormone replacement therapy. Kids who want flavored additives in liquid prescriptions, usually so that the medication tastes like candy or fruit. Veterinary prescription, for a change in dose, change to a more easily-administered form (such as from a pill to a liquid or transdermal gel), or to add a flavor more palatable to the animal. Oral prescription that cause side effects, because they are absorbed systemically, can be changed to topical cream forms to minimize side effects. Dr. Mona Rezaei earned a Doctorate of Pharmacy from University of Southern California School of Pharmacy in 1994. Dr. Rezaei worked at Apria Healthcare as a chief pharmacist and speciliazed in compounding and home infusion. She then pursued her dreams and decided to open her own compounding pharmacy in 1998. With over 20 years of experience, Dr. Rezaei's passion lies in bioidentical hormone replacement therapy, dermatology, wound care, womens health, and nutrition. Dr. Sherry Kelishadi earned a Doctorate of Pharmacy from University of Maryland School of Pharmacy in 2011. Dr. Kelishadi worked as a chief pharmacist at Rite Aid for 3 years. She then joined the team at Anaheim Hills Medical Pharmacy as staff pharmacist. Her passion lies in nutrition, dermatology, bioidentical hormone replacement therapy, and wound care. This is a great pharmacy! They seem to be a step above the average pharmacy. The fact that they do compounding sets them apart. I learned about them through their sister company, Kings Pharmacy in Fullerton. I had never been out there until today when I learned that they were serving Oahu Shave Ice FREE to customers! How cool is that?! I love that a company values its customers enough to provide a delicious treat like that. I used that as an excuse to go in an fill a prescription that I've been carrying around. I'm hooked. Their staff is friendly and knows what they're talking about. They really seem to care. I'll continue to be a customer of Kings and Anaheim Hills Pharmacy! This pharmacy is downstairs from my doctor, and I would have prescriptions filled here, purely out of convenience, at first. Normally I would go to the CVS close to my house, but the more I used Anaheim Hills Pharmacy, the more I liked it. The pharmacist and all of the employees are friendly, helpful and fast. They are very knowledgeable and always take the time to answer any questions you might have. I always go there now, and recommend it to anyone that wants excellent service. The staff and service at this pharmacy is phenomenal! They cater to your needs and are super helpful. The pharmacy is really pretty and the pharmacists are very knowledgeable. I would recommend this pharmacy to everyone! If you have any questions about our services or benefits of Compounding, please CONTACT US today or read frequently asked questions.